NAB is one of the ‘Big Four’ Australian banks. It is a provider of home and contents insurance, internet banking, home loans, car insurance, credit cards, life insurance, savings accounts, travel insurance and other investment products. Here’s a snapshot of NAB home and contents insurance policies for policy holders aged below 50 years, whose total claimable amount is below $550K in New South Wales. To compare other home and contents insurance policies, click here. What do NAB home and contents insurance policies cover? NAB lets you choose from home insurance, contents insurance or a combined home and contents insurance policy. All come with several bonuses such as discounts and extra benefits for combined cover, as well as fast policy access. What’s the difference between NAB building insurance and NAB contents insurance? Building insurance covers any part of your house that is permanently fixed and not intended to move, such as your walls and roof, and even the light on your front porch. Contents insurance covers all the items within your house that are not permanent fixtures, i.e. you could move them between houses. Find out more about home and contents insurance here. I’m currently renting. Do I need NAB home insurance? As a renter, you don’t need home insurance because your landlord should have insurance for the building you live in, and if you live in a unit/apartment or townhouse, the body corporate is legally required to have building insurance for the building. But you should certainly get contents insurance to protect your own possessions. Many providers offer specialised renters’ insurance policies. I’m a landlord. 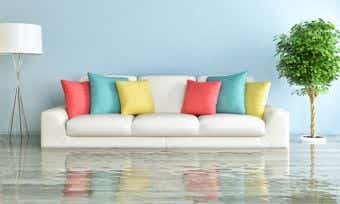 Do I need NAB home insurance? For landlords, a better option than home insurance is landlord insurance. Landlord insurance covers you for the same things as a home insurance policy, but with several important additions to cover you against risks from your tenants. How much NAB home and contents cover should I take out? If you have a recent and accurate estimate for the value of your home and contents, then it’s often a good idea to insure up to that particular sum to get your exact money’s worth. If you don’t have an accurate idea of the above value, then you could insure for a complete replacement to give yourself peace of mind. Find out how much home insurance you need and how much contents insurance you need. How do I make a claim if I have NAB home and contents insurance? You can make an insurance claim either by calling NAB’s phone hotline on 13 22 65, or by lodging a claim through its dedicated online portal. It takes less than 10 minutes to complete and is available 24/7 – for those late night claims. Once your claim has been submitted, the claims team will determine if a claims assessor would be required to visit your home regarding repairs and replacements. 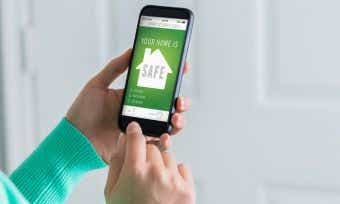 Different insurers have different claims processes, so make sure to compare different home insurance claim apps that will make your life easier. National Australia Bank (NAB) is one of Australia’s four largest banks, and provides a comprehensive range of financial products ranging from everyday banking and insurance to investment advice and superannuation. NAB was founded over 150 years ago and today boasts more than 10 million customers across Australia, New Zealand and the rest of the world. With more than 35,000 employees across 800 retail branch locations, NAB offers a ubiquitous presence across Australia to serve retail customers and businesses alike, no matter how large or small. NAB is an active business in the community, providing numerous sponsorships and initiatives. One of its most famous partnerships is with the AFL and its Auskick program, which aims to promote the sport to Aussie kids. The company also runs the NAB Foundation and offers grants to numerous social purpose organisations, contributing $48.8 million to communities in 2016. What Does Home Insurance Cost in 2017? The Star Ratings in this table were awarded as per our most recent rating. View the Canstar Home Insurance Star Rating Methodology. The Star Rating shown is only one factor to take into account when considering a product. Important Notes: The Star Ratings in this table were awarded in March 2019 and data is as at that date, updated from time to time to reflect product changes notified to us by product issuers. Current pricing and fees may be different to what was rated. The initial table display is sorted by Star Rating and then alphabetically by company. The search results do not include all providers and may not compare all features relevant to you. View the CANSTAR Home Insurance Star Ratings Methodology. The rating shown is only one factor to take into account when considering products. The products and star ratings displayed for each product in the table may not match your specific inputs in the selector. The star ratings displayed are those whose methodology most closely matches your inputs. In some cases, the methodology uses profiles comprising categories or bands eg. income, loan amounts, monthly spend. In other cases, a single methodology (without any categories or bands) is applied.Canstar may earn a fee for referral of leads from the comparison table above. See How We Get Paid for further information. Sponsored products displayed are paid advertisements and do not form part of the search results. Products displayed above that are not “Sponsored” are sorted by Star Rating and then alphabetically by company. Canstar may receive a fee for referral of leads from these products. See How We Get Paid for further information. If you decide to apply for Home Insurance or Contents Insurance, you will deal directly with an insurance provider, and not with Canstar. Consider the provider’s detailed product and pricing information before making a decision to purchase a policy. The products displayed on this page do not include all providers and may not compare all features relevant to you. 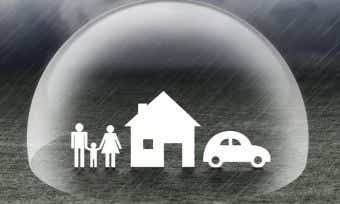 View the Home Insurance Methodology and Report. The Star Rating shown is only one factor to take into account when considering products.